Is a response mandatory or can we ignore the claim? How do we get rid of this ridiculous claim? Yes, an employer must respond by serving and filing a Statement of Defence. The failure to respond will mean the court may deem all of the facts in the Claim to be true, potentially leaving the employer liable for the damages claimed by the plaintiff without putting a defence on the table. A company representative can pick up the phone and try to settle the matter in exchange for the ex-employee dropping the claim, but that has about a 1% chance of success. Typically, the plaintiff feels he or she has already made significant efforts to settle the matter. By the time you get that Statement of Claim, the Ship of Amicable Settlement has probably already sailed. For incorporated employers, it’s time to lawyer up. Under the Ontario Rules of Civil Procedure, a party to a proceeding in the superior court that is a corporation must be represented by a lawyer, except with leave of the court (Rule 15.01(2)). Employment lawyers are busy for a reason—there are two sides to every story, and especially emotionally driven stories involving a person’s livelihood, ego and career identity. The best way to get rid of a ridiculous claim is to vigorously defend. There are no short cuts prior to filing a Statement of Defence. Once the pleadings close (i.e. the Claim, Defence and Reply(s) are filed), there are some options. The rules next call for an exchange of Affidavits of Documents (i.e. the evidence upon which a party intends to rely), but we’re seeing some parties in the employment law context push to mediation quickly, prior to the exchange of documents or examinations. This has various pros and cons and should be carefully considered before trying to skip or defer the document disclosure and/or examination steps. Another option is to bring a motion for Summary Judgement, arguing that there is no genuine issue for trial. If there are any material facts to resolve, the motion is unlikely to be granted, and most employers are better off focusing on a strong defence than getting sidetracked by expensive motions along the way. 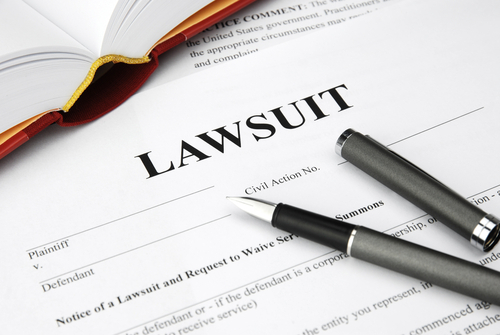 Once an employer is dragged into litigation, there are inevitable costs including legal fees, court filing fees and general diversion of internal company resources to gather, compile and share relevant evidence with counsel. There are a couple of things a client can do to help contain their own legal costs. First, write down a detailed chronology cross-referenced to the main documents. Lawyers read faster than they can listen to an individual’s story, and it will always be a useful tool for everyone to refer back to. The evidence gathering stage is not only one of the most critical stages, but can be the most expensive, other than trial. Between documents, email, texting, and enterprise chats, there is more often a challenge with too much evidence to sort through, rather than not enough. Organizing this evidence in a methodical, clearly indexed system before handing it over to the lawyers can save a company a ton of legal fees. Always have a detailed discussion upfront about how your lawyer wants the information, what software do they use, are they paperless, and what are the key issues around which the evidence should be gathered. A final tip to help control the costs is to ask for an estimate of the different stages upfront. If your lawyer says it’s impossible to predict, ask for ranges for each stage of litigation. If they relentlessly respond with “It depends/each case is different/yours is a unicorn”, then be prepared for a unicorn of a bill at the end. A trial is rarely the right outcome for anyone but the lawyers, but there are many stages along the way that provide for good opportunities to clarify facts and drill down to the core dispute between the parties, facilitating a settlement that wasn’t possible prior to that claim landing in your inbox.